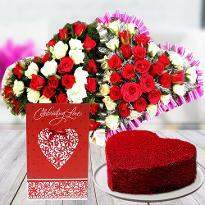 Convey your love on this valentine by sending awesome valentine gifts in Gwalior. 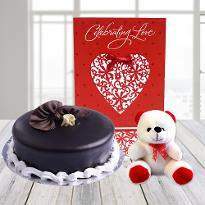 Winni offers a broad range of gifting items with great prices. 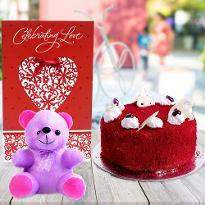 You can order Valentine's Day gifts online for your lover and get them delivered on the same day in Gwalior. 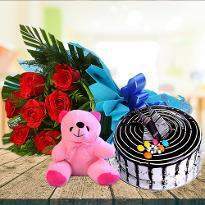 Winni, a leading online gifts portal in Gwalior, offers online flowers and gifts delivery in Gwalior. 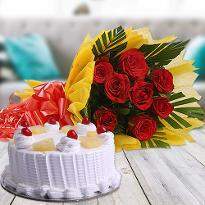 You can make the online request to send flowers to Gwalior, gifts to Gwalior and cakes to Gwalior. 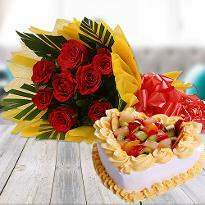 The couples deserve the best for all they have accomplished for us for the duration of our life. 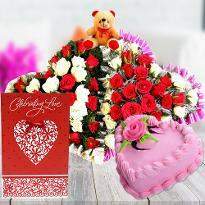 To make them feel extraordinary Winni allows you to send Valentine’s day gifts to Gwalior in a most and convenient way. 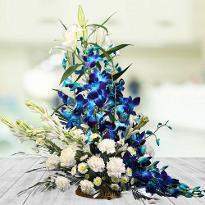 The portal offers you a vast collection of gifts items to be delivered to the mailing address within the promised time. 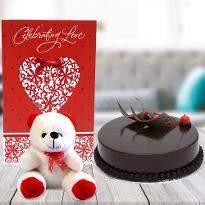 In our wide selection, one can select from handbags to jewelry, grooming sets, key chains, photo frame, mouthwatering Valentine’s day cakes, exotic chocolates packed in a beautiful box, heart shape photo cushion, personalized mugs, personalized cushions and so on. These are not limited to this much only. You can visit the portal for the collection of gifts items that you can send to Gwalior. 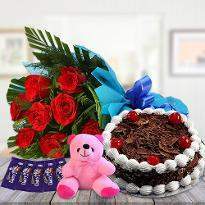 When you put in your request to send Valentine’s day gifts to Gwalior, we guarantee the conveyance of the best quality items. 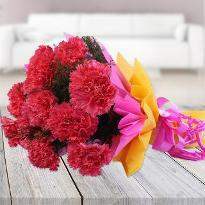 Our delivery groups assure the conveyance of the ordered items at the doorstep of your special one. 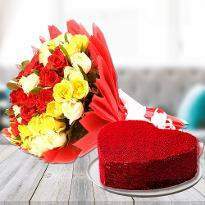 This year on Valentine’s day, surprise your special one by sending beautiful valentine’s day gifts to Gwalior. 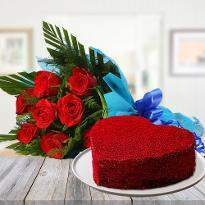 When love is in the air, an expression of love makes a significant difference in the lives of people. 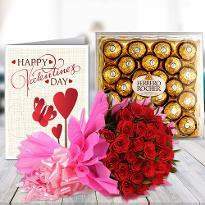 If you want to express your appreciation for your special one in Gwalior, browse our website and send a romantic Valentine's day gifts. 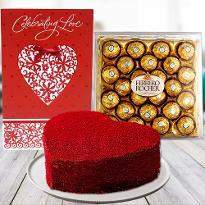 Valentine’s Day, the day dedicated for love universally, calls for the most romantic Valentine's Day gifts. 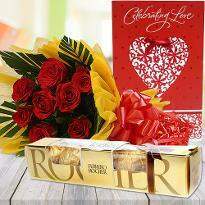 Gifts with an aroma of romance that can melt the heart of your special one. 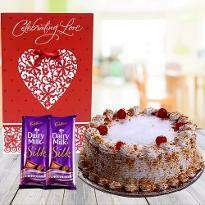 Send Valentine’s Day gifts to Gwalior as a laudation of your love for your one and only. 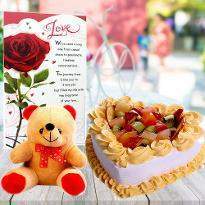 With valentine’s week hovering around, we have brought you the most romantic online valentine gift ideas to Gwalior. 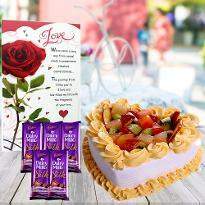 Wrap up your emotions into small yet significant gift items ranging from online Valentine’s Day chocolates to Gwalior to valentine cakes to Gwalior to valentine flowers and valentine teddy bear to Gwalior. 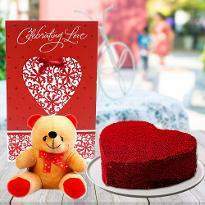 Making it quite simple and to save your time we have personalized valentine gifts for him and valentine day gifts for girlfriend. 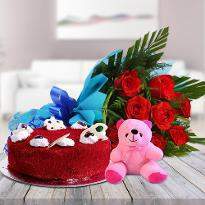 What all you need to do is to look into the website to find out what suits the best to your love’s taste and send valentine gifts online in Gwalior. 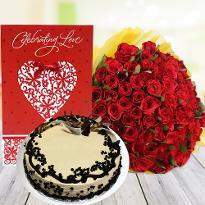 Send a heart shape black forest cake to cater to your lover’s heart and taste buds. 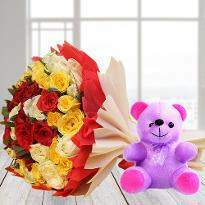 Red roses, pink roses, yellow roses and so forth all are within your reach. 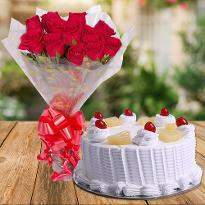 Roses are considered to be the epitome of love thus send valentine roses to Gwalior and let your sweetheart know how much you miss him/her. 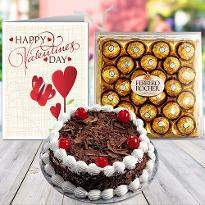 Use our same day online Valentine’s Day gifts delivery in Gwalior on best price in just a few clicks sitting at home. 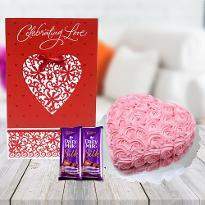 The experts at Winni have curated the most elegant range of Valentine’s Day gifts for you to choose from. 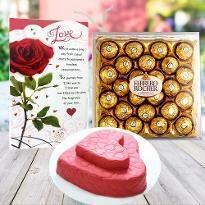 Explore our collection and send valentine day gifts to Gwalior.